WASHINGTON, D.C. Jan. 30, 2019 — Federal lawmakers introduced legislation today to permanently ban the slaughter of horses for human consumption in the United States and end the current export of American horses for slaughter abroad. Introduced by Reps. Jan Schakowsky (D-Ill.) and Vern Buchanan (R-Fla.), the Safeguard American Food Exports (SAFE) Act, is supported by leading animal welfare groups, including the ASPCA® (The American Society for the Prevention of Cruelty to Animals®), the Animal Welfare Institute (AWI), The Humane Society of the United States, The Humane Society Legislative Fund, and Return to Freedom Wild Horse Conservation. 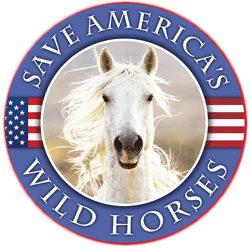 After years of fighting for the future safety and well being of America’s equines, both wild and domestic, Wild Horse Freedom Federation, likewise, endorses a speedy passage of the SAFE Act. Will this legislation be enforced! Pressure our politicians, to do so. The legislation was introduced? Is there any chance that it will actually be passed this time? Each year, tens of thousands of our horses and burros are transported under terrible conditions to Canada and Mexico, where they meet a cruel end because there is no federal law stopping such transport across our borders. If anyone has the actual identifying bill number/s please post them here (i.e., HR. # xxxx, or the Senate version). I’ve learned on contacting my elected officials and staffers that’s the first thing they want to know. And if you can’t provide it the politely blow you off. It is surprising the news articles don’t include this information. 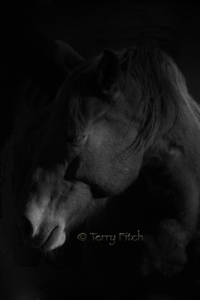 Concerning the slaughter of horses and other equines for human consumption. THANKS! I know the number changes each year so this looks like the current House version. I pray with all my heart and soul that this will go through (FINALLY!) this time!!! Just consider what it really means for ALL the horses and burros in our country, OMG.